Today is Saturday, and we have been in Florence for a little over a week. Our goal is to walk at least 10,000 steps each day, and we gave ourselves a week to be tourists, making sure we saw all of the main piazzas and ate at our favorite restaurants. So far we have had dinner at La Giostra and La Cucina di Garga as well as a small trattoria called Osteria di Natolino and several other small trattorias. Working on finding a delicious pranzo that is less than 30 euros – we think we found it yesterday. We took a walk over to the new Mercato Centrale, always a very fun energetic place to be. The new top floor of the Mercato Centrale is beautiful and very trendy, but the authentic vendors still hold the first floor of the mercato; olives, bread, fish, butchers, grocers, vegetables and fruits, basically anything you would need. It’s full of tourists but also a place that many locals shop at, but only until 2pm each day, when the mercato closes and gets ready for the next day. 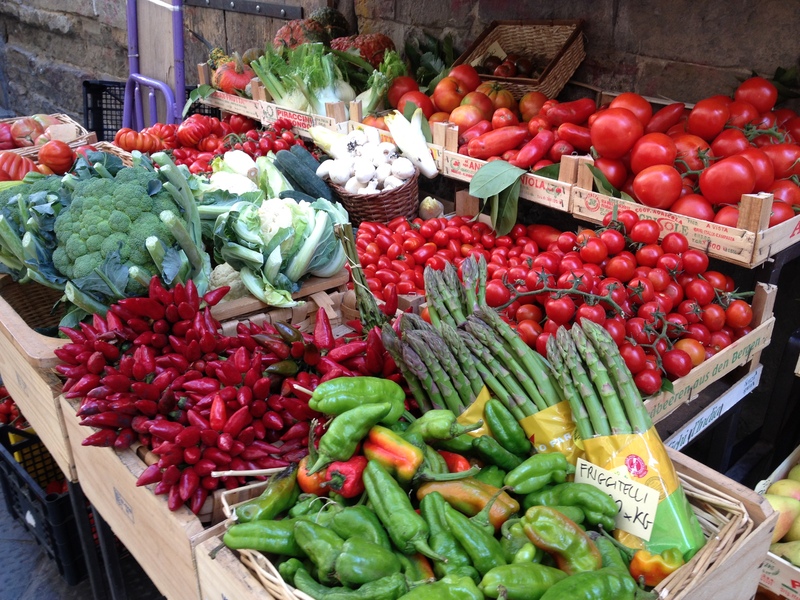 A new mercato for us is Mercato San Ambrogia, just a short walk from our apartment. This is a truly authentic mercato, with inside and outside vendors. 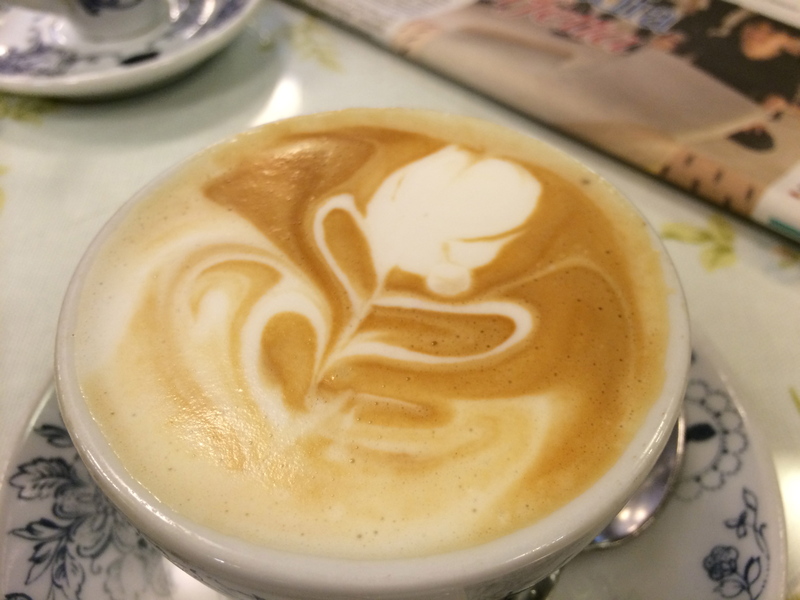 We already found a favorite little stall for cappuccino or caffè machiato in the mornings. The fruits and vegetables are so fresh looking , although only a small portion of the produce is from Italy. Right now the oranges and some varieties of tomatoes are from Sicily, but much of it is from Spain right now. Fresh pasta and delicious oven-ready rolled stuffed meats. For tonight we have tickets to an opera at St. Marks’ English church in the Santo Spirito area. The actors are performing La Boheme, one of my favorites. This is the link to the St. Mark’s website: http://stmarksitaly.com/music-arts/opera-at-st-marks/#sthash.ozawrRtT.dpbs And this is for my friends at my Italian conversation class and Chiara, my Italian tutor….and yes, I did need to use Google Translate for much of this – it is easier to stumble through my Italian verbally than in writing. Oggi piove e la temperatura è fresca. Abbiamo acceso la lavatrice per la prima volta e speriamo di non sovraccaricare l’elettricità in appartamento. Quando sono spesa parlo molto Italiano e loro capiscono.quando sto acquistando parlo molto italiano e deinegozianti sembra di capire la maggior parte di quello che sto dicendo. Fatta eccezione per la donna delle pulizie – lei non ha la pazienza e vuole sempre mio marito per chiarire tutto quello che cerco di dire. LOL, vabbè! Ci vidiamo! 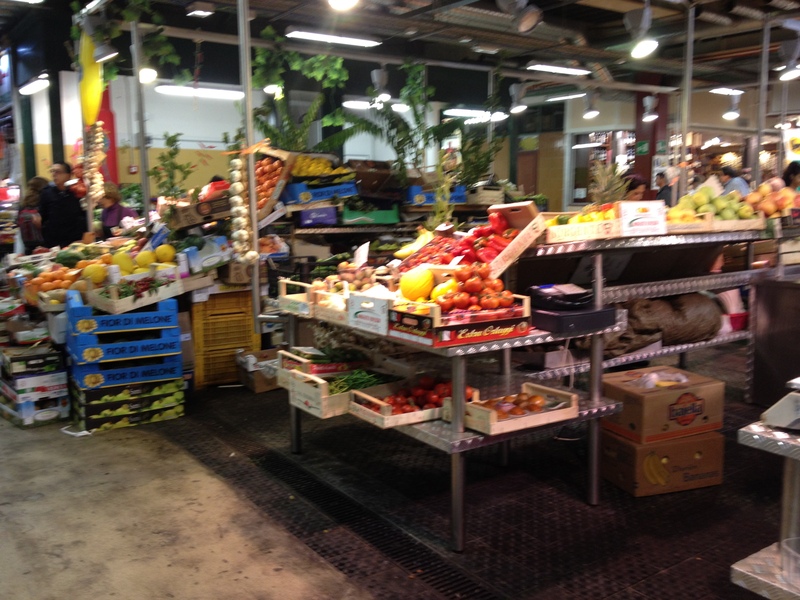 This entry was posted in Firenze 2014 and tagged http://www.garga.it, http://www.vrbo.com/92298, Mercato Centrale, Mercato San Ambrogia, Osteria di Natolino. Bookmark the permalink. 2 Responses to Walking, walking, walking….